February is the month of love and what better way to celebrate Valentine's Day, than with some of our favourite products that we think have that wow factor! Our range of Radox Radiators is immensely popular with our customers and one of my favourites is inspired by the Manhattan skyline. 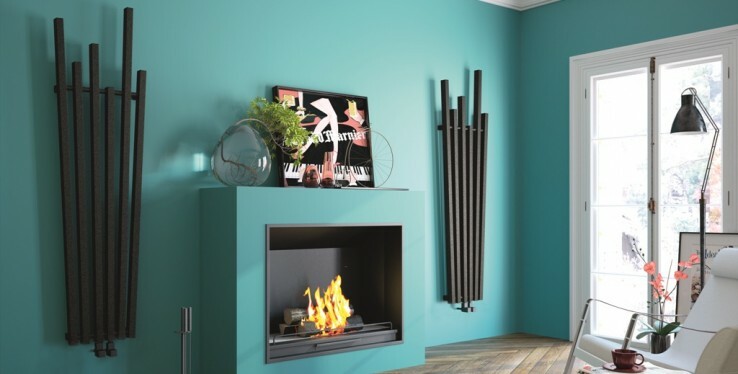 What I love about this design is that it is extremely versatile so it can be used in living rooms, hallways, bedrooms and bathrooms, to heat your home whilst exuding style. The art deco design is reminiscent of the Empire State Building, bringing New York's most popular landmark to your home! One product I love is our Marazzi All Marble tile which has been a popular choice within homes for decades. A benefit of this product is you can have the look and feel of the real thing but without the large price tag. I love how it has a traditional and natural finish, which is perfect for your bathroom or kitchen, providing an elegant and simple addition to any room. The latest addition to our product range is the Angelo Mirror with LED and Bluetooth Technology; it is one of my favourite products due to its and practicality. It makes the morning routine more enjoyable, enabling you to listen to your own personal music library whilst brushing your teeth, or flicking through a variety of radio stations whilst in the bath. It's a great piece of equipment to have in your home and a welcome addition to my day. At Real Stone and Tile we have an extensive range of products, and we believe that you will love them just as much as we do! Pop into our Cheadle showroom or give us a call on 0161 485 1373. We are happy to help!